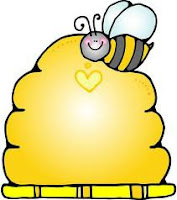 The cost is $25.00 that includes a goodie bag and pattern and kit for the mug rug and a cute mug! 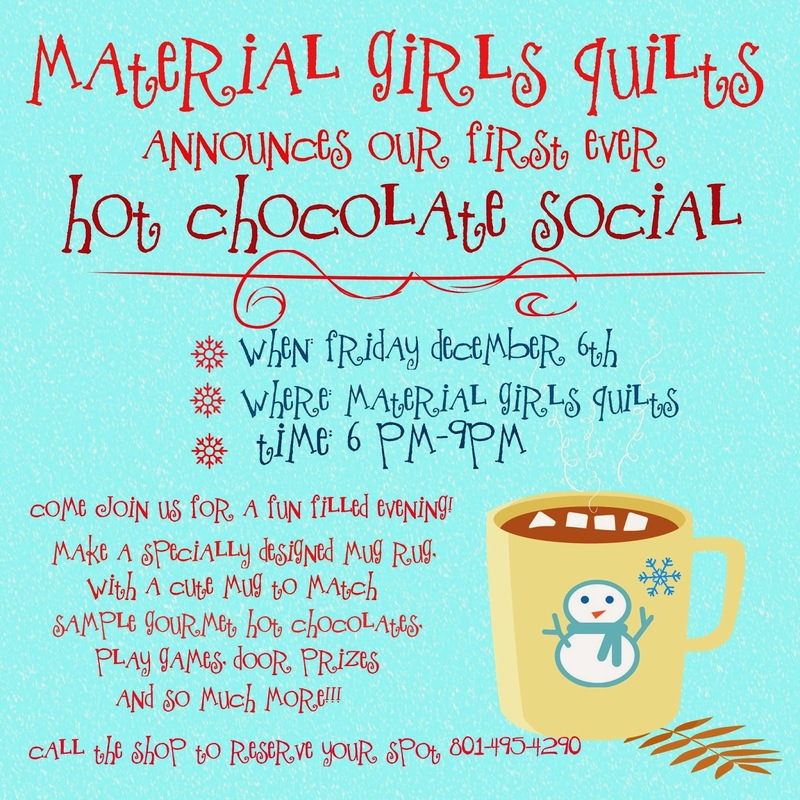 Plus, we will have several different "Hot Chocolates" and goodies to sample. Games and Prizes. Spots are limited so call and reserve yours today!! The elves have been busy!! Here's a sneak peek at a few of the awesome things we have!!! 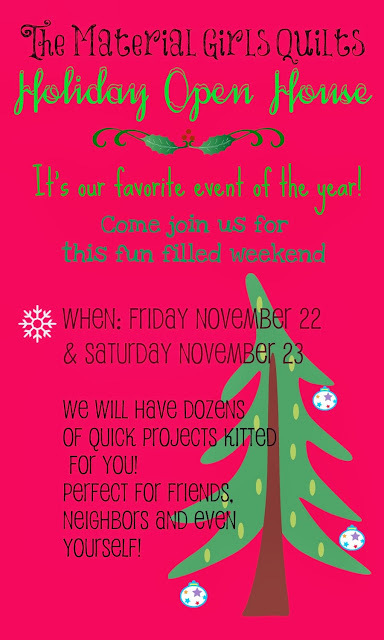 You aren't going to want to miss all the new, fun projects we have whipped up for you this "Holiday Open House" It starts tomorrow Friday November 22 and Saturday November 23. 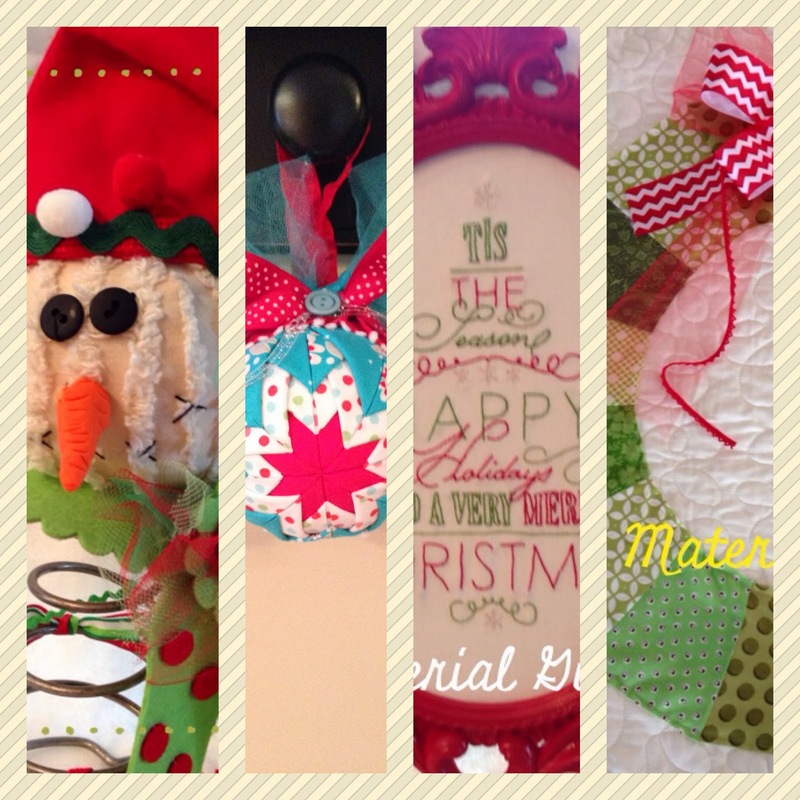 Great ideas for neighbor gifts, friends or you!! And lots of sales too!!! 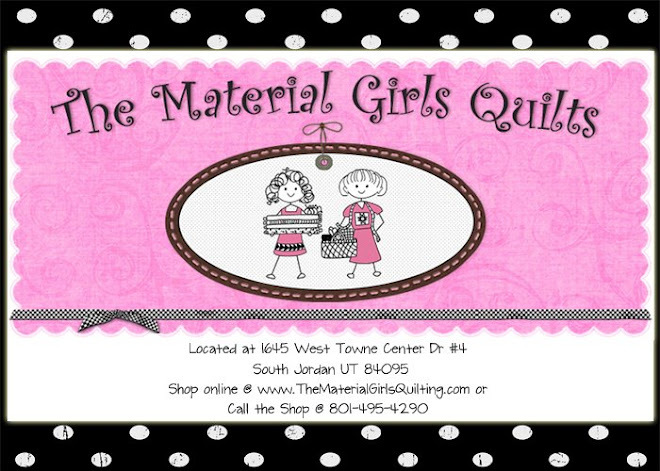 Also Roxie from Stylish Stitches is having a giveaway, for every quilt you drop off to be quilted from now till December 15th. She will be giving away an Accu-Cut Baby Go Cutter. Who wouldn't love that?! 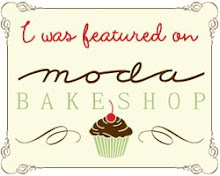 She is here on Thursdays from 6-8 pm or Saturdays from 10-11 am. 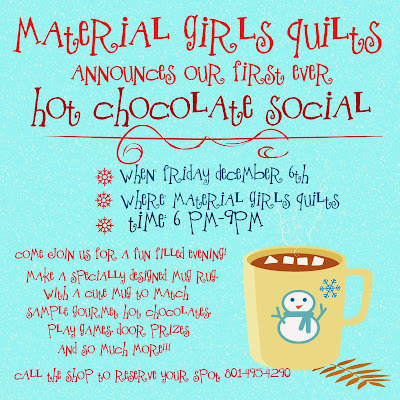 Also stay tuned for our first ever "Hot Chocolate Social" details to be announced soon. We are so excited for this!!! We have been busy little elves designing and kitting lots of fun, festive projects for you! !